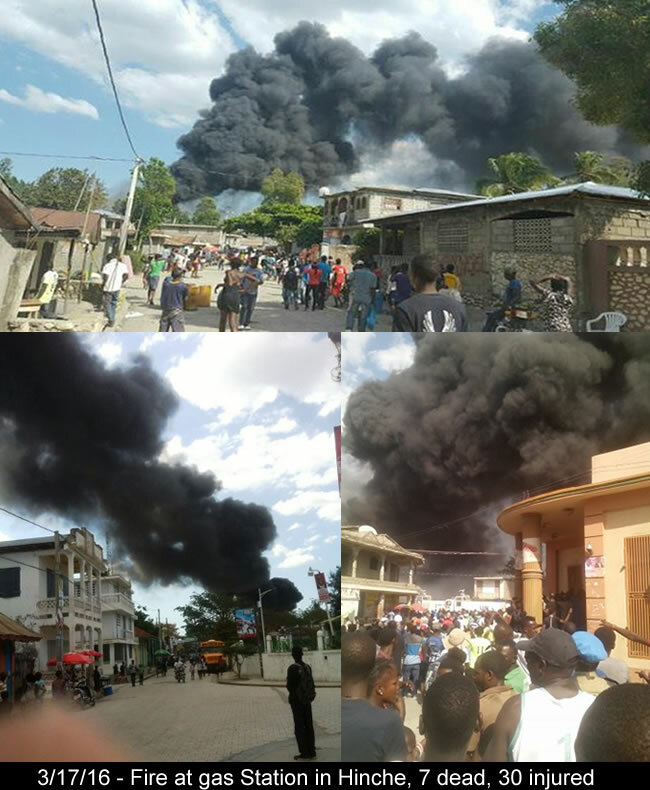 March 17, 2016 - a gas station in Hinche, in the Department Centre exploded and burned completely. Here is a collection of pictures of the incident. According to some witnesses, this incident took place while a truck transporting water came in to put in gas but left the pump without shotting it uf completely. Others mentioned the lighting of a cigarette. Also there are non confirmed report that about seven people lost their lives in the fire and more than thirty injured.